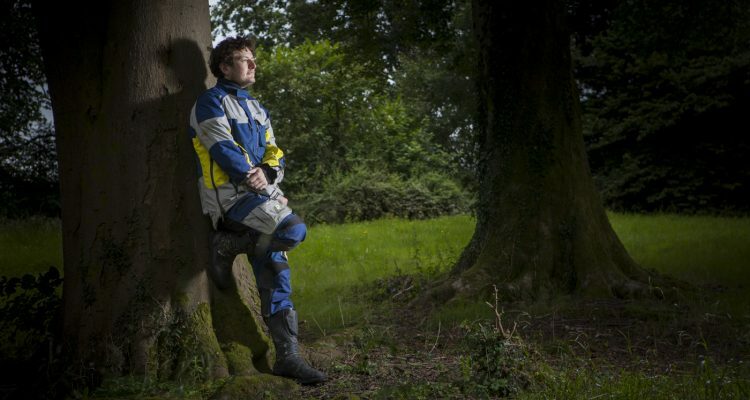 Remember the V-Strom 650 XT? It got a solid update in early 2017. We attended the launch event, rode the wheels off it and wrote a review. 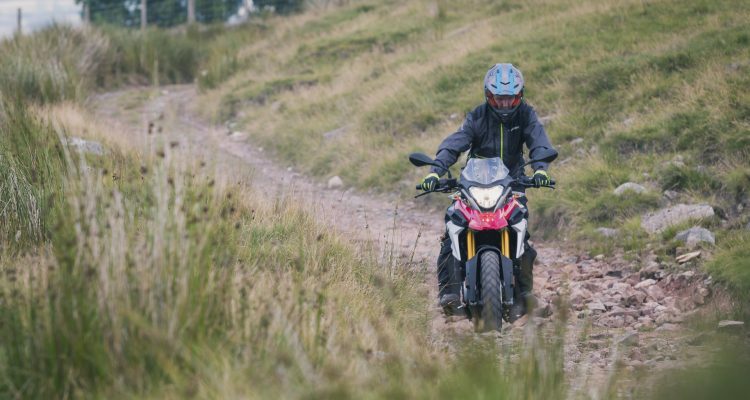 In that review we said something like “This bike would make a great little ADV bike with a little fettling”. Suzuki read that and offered us one to fettle. Thus V-Strom 650 XT Project Bike was born. Really this project is all about the video. Watch that by clicking the play button above. Our project bike idea was simple. 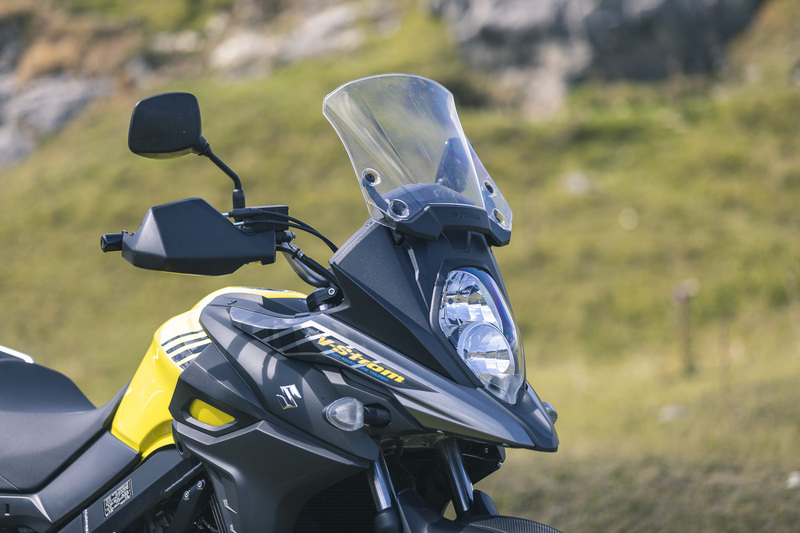 Take the wallet friendly V-Strom 650 XT and ride it ’till we know it inside out. 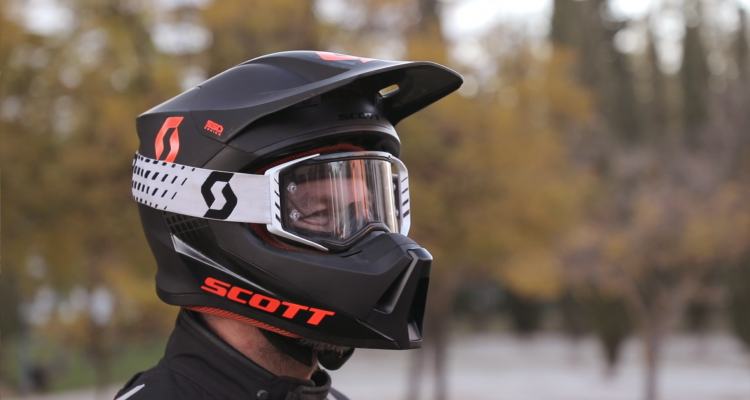 Testing a bike for a day gives you good understanding. Testing it for 2000 miles gives you indepth knowledge. 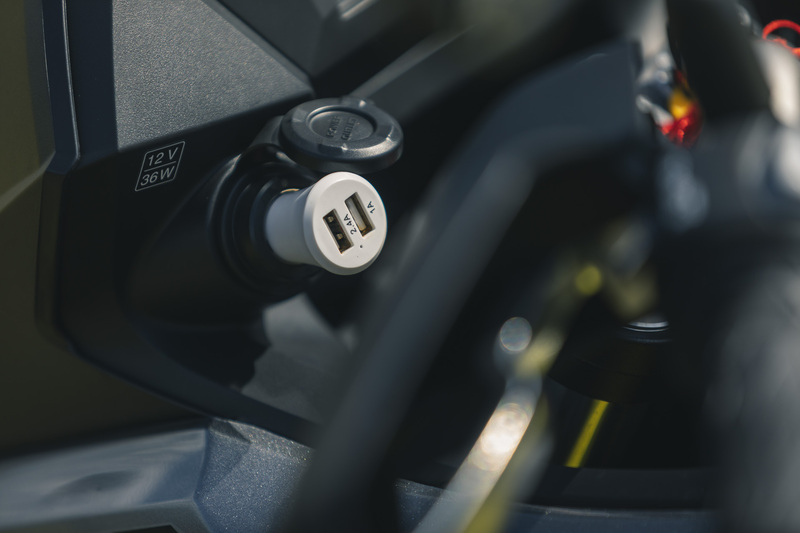 The goal is to make the V-Strom a more rounded motorcycle. The sticker on the adventure style beak says Sport Adventure Tourer. 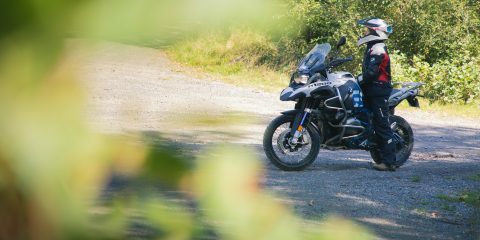 As a budget commuter or weekend hack the little Suzuki is great, but the V-Strom really lacks the ‘Adventure’ part. 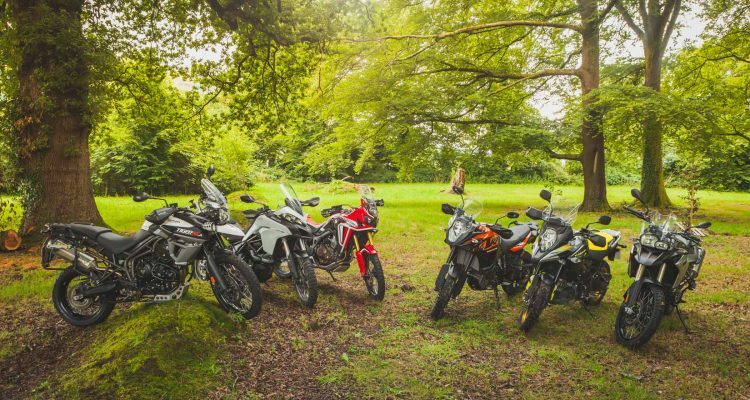 Everything we said in the 2017 model launch report still stands true, even after 2000 miles of riding. 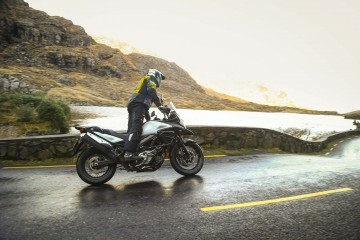 The stock V-Strom looking good. The same could be said for the hand guard setup. 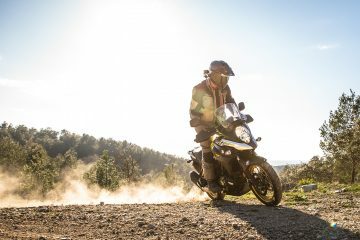 Episode one of our V-Strom project bike is focussed entirely on making the V-Strom’s skillset more off-road focussed and well rounded. Before we could do anything really technical, the ergonomics needed solving. In stock trim they’re dated and road focussed. When you take the bike into an off-road setting it generally doesn’t feel horrendous but the overwhelming problem is the ergonomics. They scream louder than everything else and it’s tough to figure out what else might need to happen. Our changes started with the handlebars and includes new footpegs, new tyres and finally crash protection. Now the V-Strom is a budget bike so we don’t see much point in spending £8,000 to make it feel like a KTM 1090. 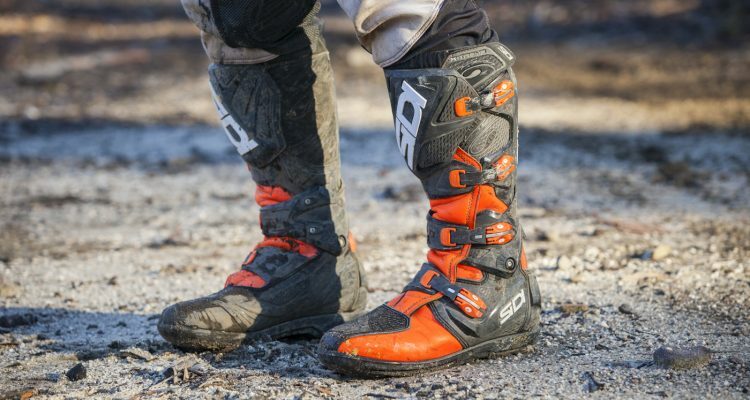 You might as well buy a KTM 1090. Our goal is strike a good balance between not shedding money unnecessarily and finding products that give us a great end result. That’s the plan at least. Nice street pegs, not nice off-road pegs. 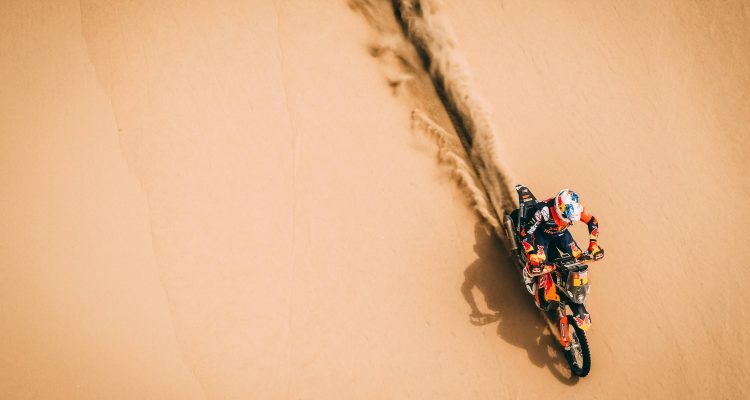 The handle bars aren’t a great bend off-road. We felt it needed some decent mileage. This little rack is surprisingly effective, even if it looks like waffles. We love the 12 Volt. And spoked wheels means no expense required here. Four hundred pounds is a lot of money for handlebars and handguards. We’re not going to argue that but we deliberately opted to take this route for a number of carefully considered reasons. Our goal with the bars was to get them straighter, flatter and more comfortable in the standing position. There is no doubt that we’d have to sacrifice a little sat down comfort for a little all-round comfort in this department. First up on list of reasons for choosing the Flexx bars is availability. 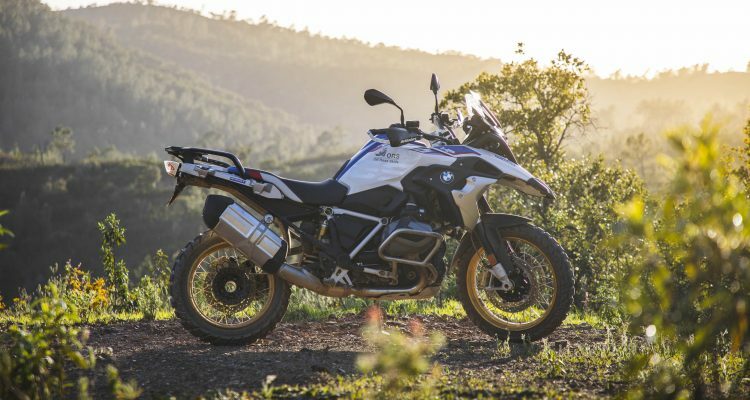 We get stung on the import tax from the US in Europe but the two main other competitor ‘adventure’ handlebar options are pretty challenging to buy here. The main rivals are the Pro Taper Adventure bar and the Magura AX2. The bend options for those are limited and so is availability. With Flexx bars we had options galore and a really good UK importer. Reason two is the fantastically clever integrated bar end and hand guard solution. I mean, look at the pictures. It’s so damn neat and well designed, you can’t not like it. The hand guards are strong, the bars weights are threaded into the bars and it means that everything is going to work better when you crash. Third is the Flexx design. 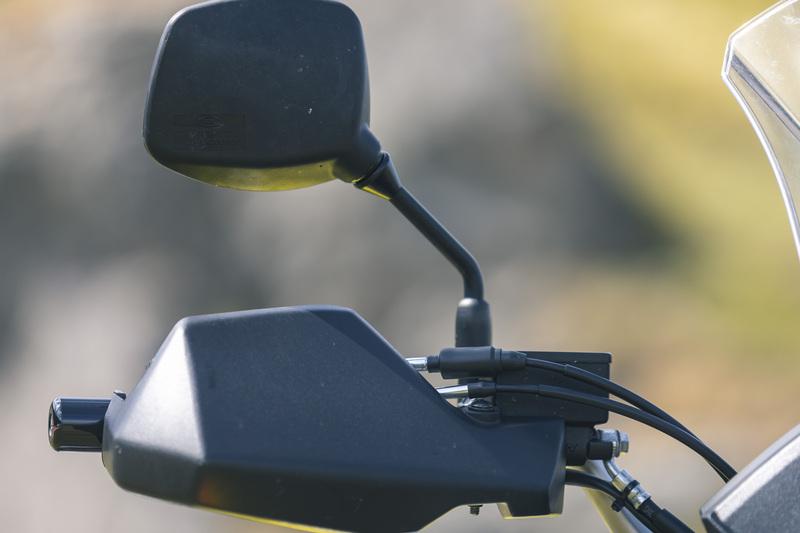 Now handlebars are not complex and they don’t need to be but adding some additional flex to the clamps or using a more flexible bar adds a huge amount of comfort. 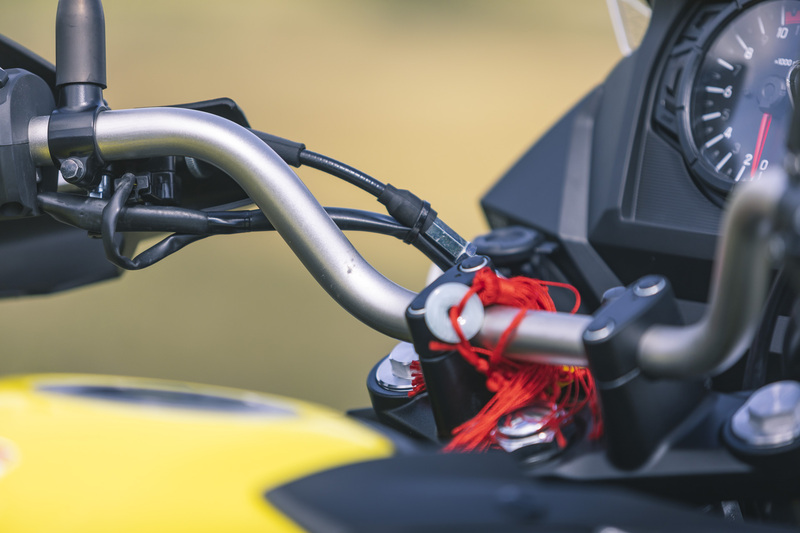 We don’t have a lot of scope for changing the suspension on the V-Strom down the line as it’s non-adjustable, so if we can find some comfort and reduce vibration then we will. Fourth; we think they look cool and they give us lots of space for accessories. The straight bar design is amazing for that and the bar pad can be replaced with a drill-able GPS mount. 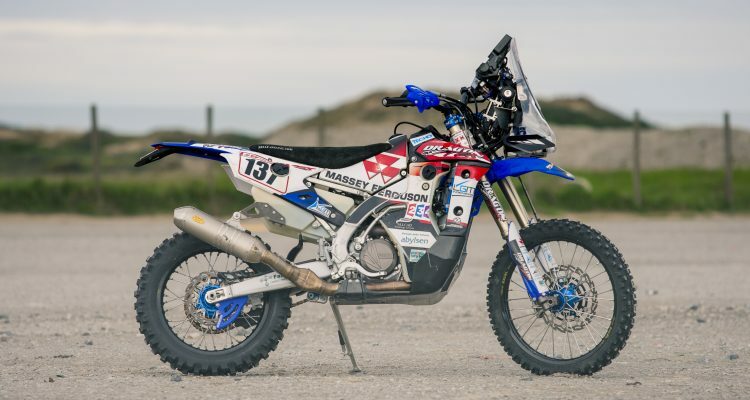 Don’t get us wrong, £400 on a set of bars and hand guards isn’t cheap and you could easily make do with a set of simpler bars but so far we love the system as a whole. As well as fixing the handlebars, we needed better foot pegs. In an ideal world we’d be able to have a better peg and have it in a different position on the bike. 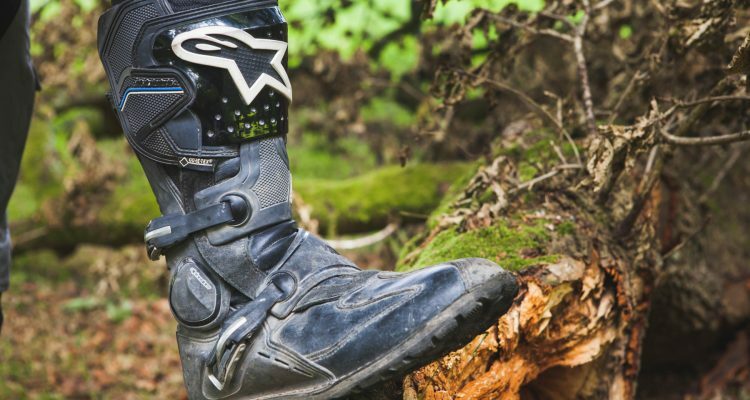 In stock trim, the V-Strom footpegs feel high, like they were trying to kick you up and forward when you stand up.It’s often the reason a bike feels cumbersome and road like when we stand up. By dropping the footpegs down a little we could open the cockpit up more and thus increase standing and siting comfort. So the search began for a a footpeg that could do that. 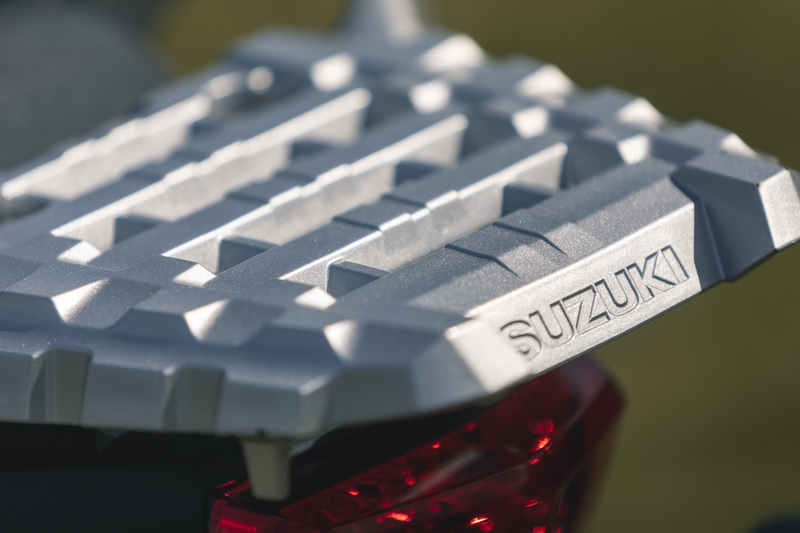 We found two options, Suzuki’s Wide Footrest and SW-Motech’s Evo Footrest Kit. Both do similar things, with a different approach. The biggest difference is the Suzuki’s depressible rubber design. 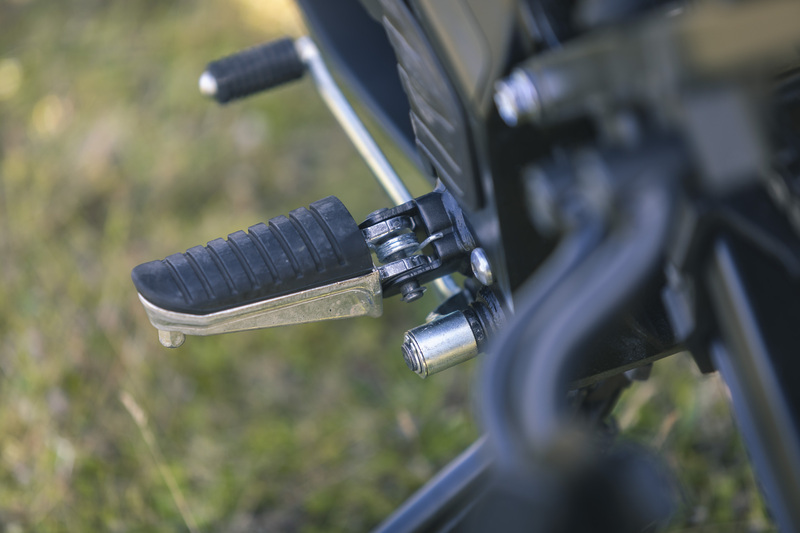 As you add your body weight to peg in the standing postion, the springs under the rubber compress and you have an off-road footpeg. The Suzuki peg is however £110.00 more expensive than the SW-Motech one. At the moment we’ve opted for it but we’re going to try both options and come back to you. Tyres make a huge difference to the handling of a bike. 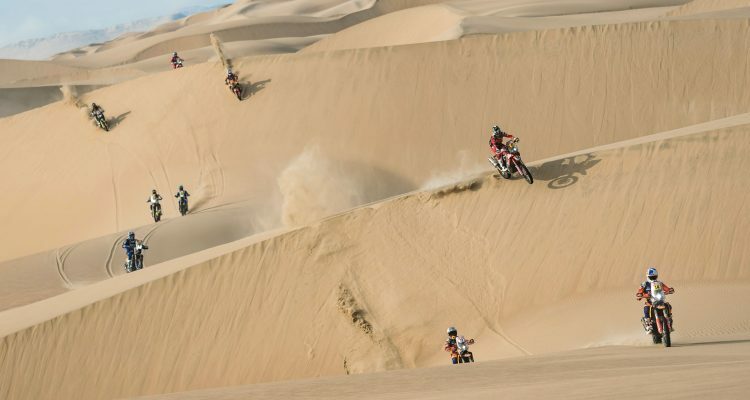 While they don’t make up for incorrect geometry and handling characteristics, they do affect how nimble a bike is in a huge way. The difference between a heavily biased off-road tyre such as a Karoo 3 or a Anakee Wild and a full blown street tyre is massive. As well being visually more aggressive and having a looser block pattern designed for use on dirt, the profile of the tyres are different. 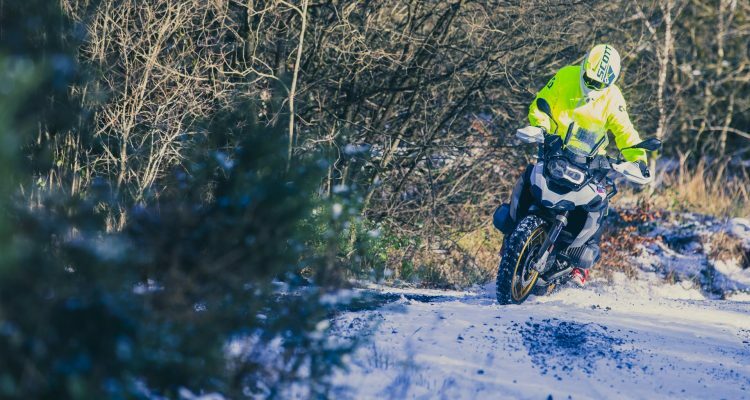 Off-Road friendly tyres are less rounded, allowing the bike to turn much quicker. On the street, a smooth consistent tip in when leaning over, is better. 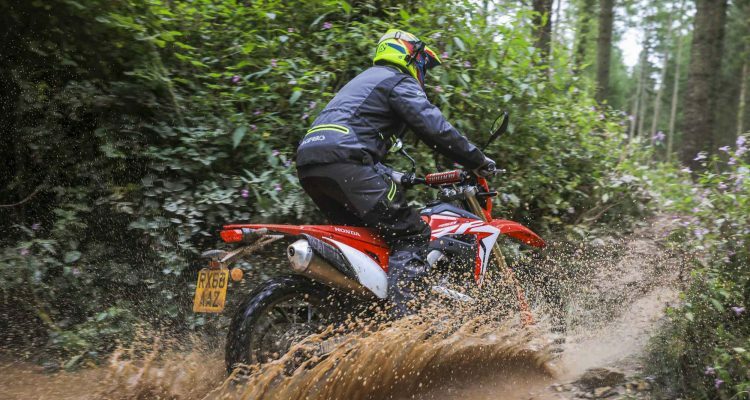 Off-road, the ability to change direction immediately and have a more nimble nature to the handling is helpful. 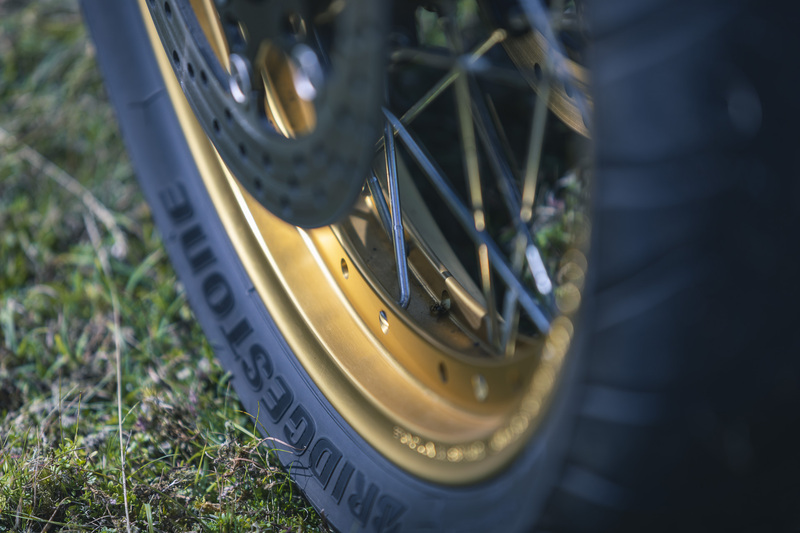 It’s not a budget tyre and we could use something like a Mitas E10 or a Shinko 804/805 but with the Karoo 3 we get one of the best tyres on the market. 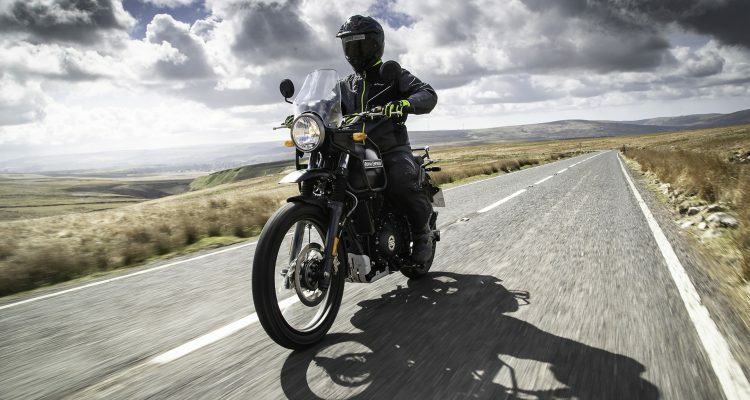 It’s a great all round performer and because the V-Strom is predominantly a street bike we wanted to use a tyre we know well. That will allow us to remove a variable from the process of attempting improve the bike as a whole. 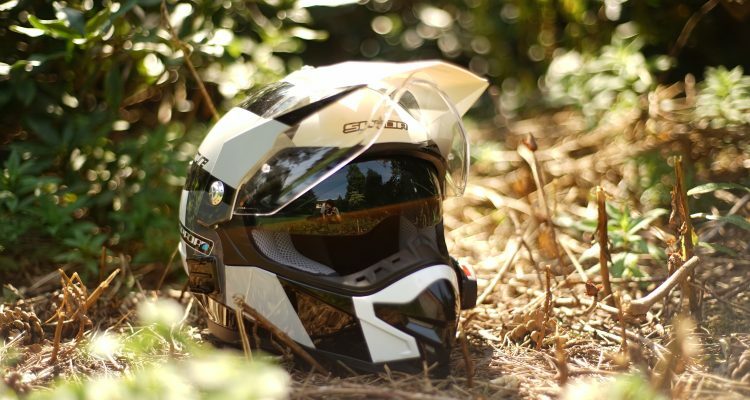 When it comes to protection, the V-Strom needs help. In stock trim there is a plastic shield to hide the nakedness and beyond that it’s bare. We wanted a simple crash bar and sump guard setup. The solution we settled upon was the Bronze Kit from Outback Motortek. We had three requirements from our crash protection. Firstly it needed to be strong enough to do the job. 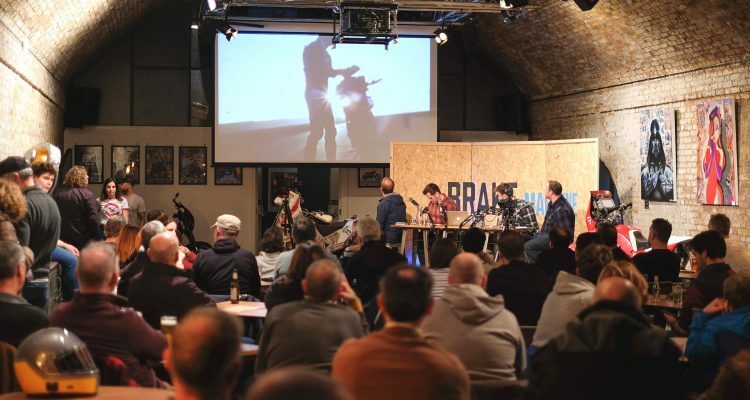 Fortunately, Outback Motor made a video of them testing their Africa Twin bars by throwing a bike on the ground. It worked. Second on our list was mounting. 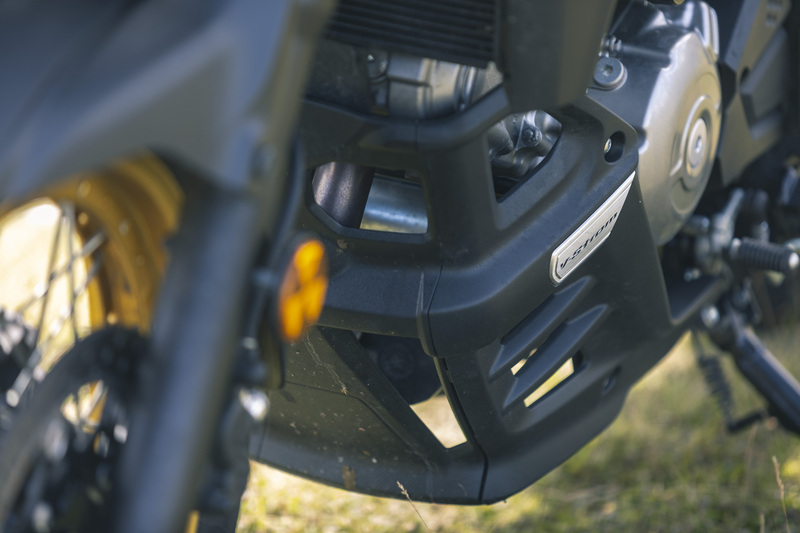 For a really exposed underbelly like the V-Strom has, it’s extremely easy to mount the sump guard to the engine. 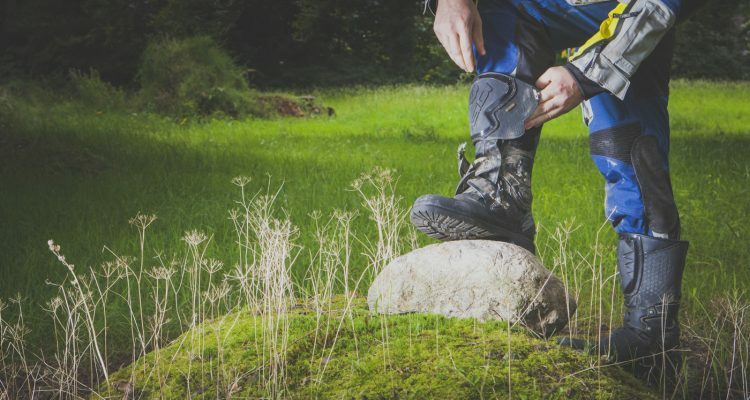 If you’re doing gentle off-road and need simple protection it’s fine but it’s always better to have a mounting point that won’t cause an issue if you have an impact of technical trail. With the Bronze kit for the V-Strom, Outback Motortek have mounted everything to the frame of the bike. The crash bars and sump guard are connected together and so far it looks really good. The third requirement with our protection set up was price. Crash bars have a lot of engineering and though involved but this is a build with a budget and we didn’t wanna blow it on protection. The Bronze kit will set you back €329.00 or around £290.00. If you’re in the States the kit retails at $US 495.00. It’s pretty good price in our eyes. That brings us to the present day. 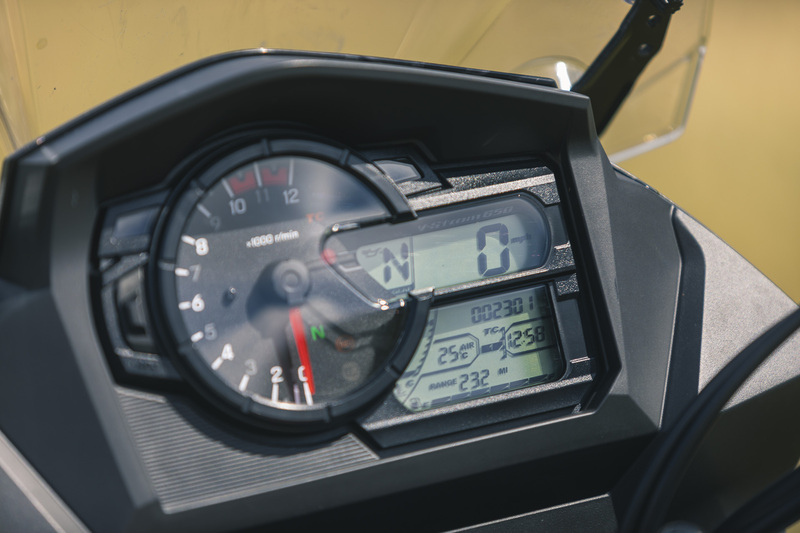 The next phase is to put some more miles on the V-Strom and see what’s holding it back. After a very brief ride following the end of episode one, the bike appears to have moved in a great direction. It’s infinitely better in the standing position and affords a lot more control. 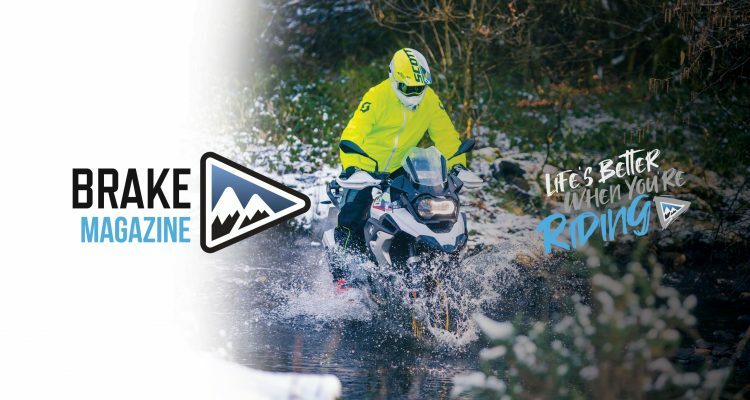 With a few solid days of riding on the V-Strom we’ll have a much better idea of what we need to do for it to be ‘adventure’. 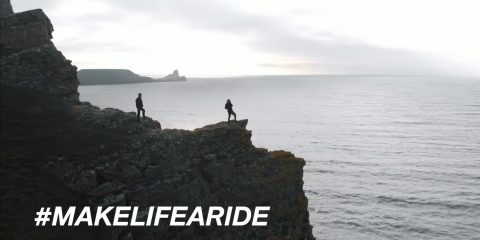 The goal is as the video says; to make a bike that is as good at all of the riding as possible for the given budget. Realistically, the suspension will probably need some fettling, we’ll look at some luggage options and there will be a few other ergo tweaks. Finally, if we’ve got any budget left, we’d really like to shave a little weight. We’ve added a fair bit with the crash protection, the hand guards and the handle bars so if we can offset that we will. And that’s about it. We’d love to hear your thoughts on the project in the comments below. What do you think so far? What would you like to see us do with it?